New Haven, CT – The Walter Camp Football Foundation has announced its All-America Alumni NFL Offensive and Defensive Players of the week for games ending October 12. 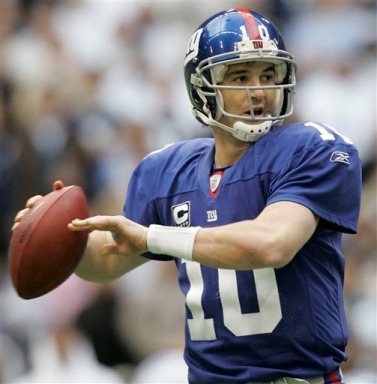 Eli Manning completed 41-of-54 passed for 441 yards and three touchdowns, including a 12-yarder with 21 seconds remaining as the New York Giants defeated the San Francisco 49ers, 30-27. A collegiate standout at Ole Miss, Manning was a Second Team Walter Camp All-America selection in 2003. 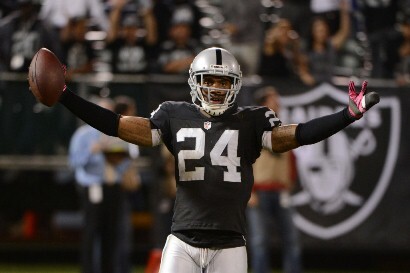 Veteran defensive back Charles Woodson became the first defensive player 38 years or older in NFL history to intercept a pass from a quarterback also 38 or older (Peyton Manning of the Denver Broncos). The interception was Woodson’s 64th in his career, good for sixth all-time. A standout at the University of Michigan, Woodson was the 1997 Walter Camp Player of the Year.